They say there’s no going back. This is not actually true; often you can indeed go back, literally if not metaphorically. I did so myself this week when I revisited scenes from my youth during a quick overnight junket to northern Minnesota. 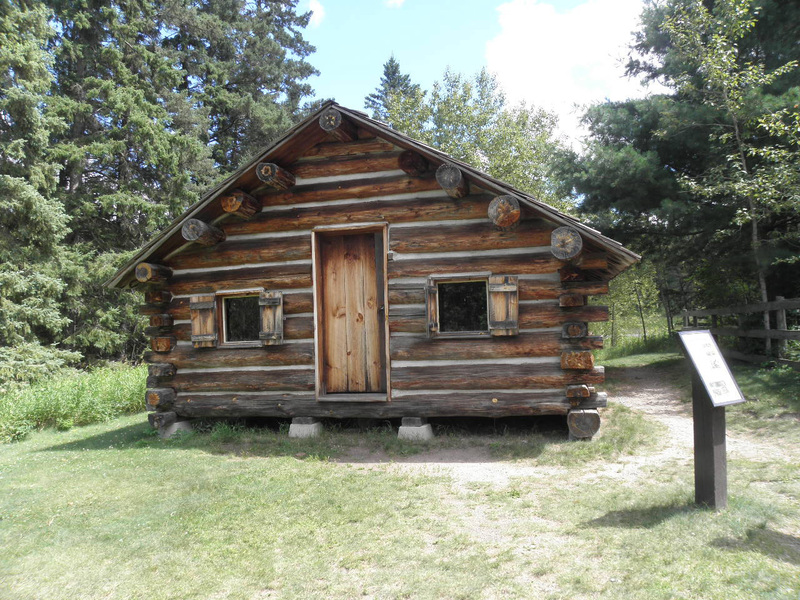 I had taken three days off last week, intending to have a writing retreat, and had casually thrown out the possibility of motoring north to Itasca and pitching my pup tent under the pines. However, studies have conclusively proven that a lone woman in a crowded, well-patrolled state park has a 100% chance of being killed by a serial killer. At least, that’s how my mother heard it. She proposed an alternative scenario: the same journey under the protection of her burly 89-year-old self, substituting a clean and comfortable hotel room for the pup tent. Having recently seen her go medieval on an errant bat with a broom, I was afraid to decline. I made the 128-mile trek from Osakis to Bemidji many times while a student at Bemidji State University (Go, Beavers!). Thus it was with full confidence that I turned my little red Kia onto the first of a maze of back country roads that had shortened the distance when I was an undergraduate. “You do have a map in the glove compartment, don’t you?” my mother gently inquired. I scoffed. Fifteen minutes from home we were lost. It’s possible the layout of the roads has changed in the quarter century since I last went this way. More likely, the steep cognitive decline that is said to commence at age 50 has already erased my memory of the way north. I bluffed certainty in our route until we stumbled upon the little town of Parkers Prairie. There a sign helpfully pointed us to Highway 29 and Wadena. I was back on firm ground, navigationally speaking. We are two wild and crazy gals. 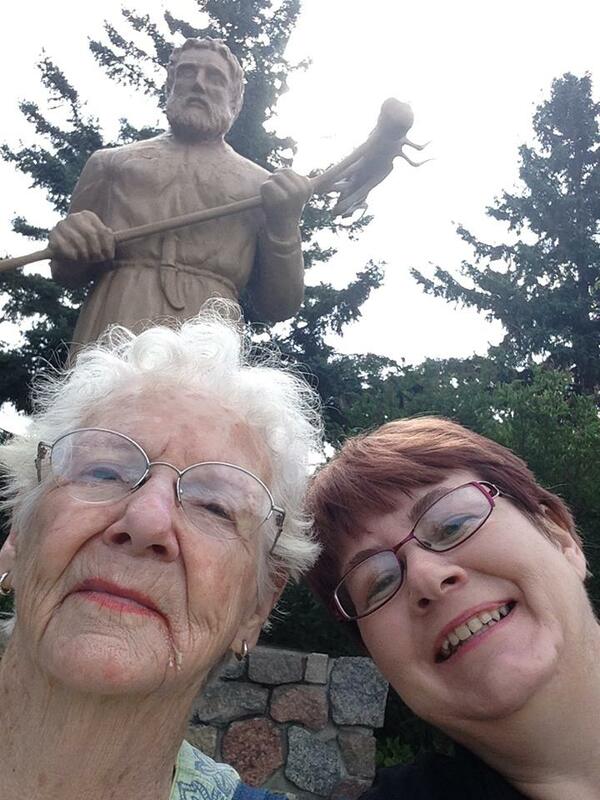 Our first stop on the way was in Menahga and the impressive monument to St. Urho. For those who don’t know (and that would be almost everyone), St. Urho was the brave hero who drove the grasshoppers out of Finland. Or so the legend goes – a legend, by the way, entirely concocted by a professor of history at Bemidji State University and adopted, inexplicably, by the good citizens of Menahga (most of whom presumably claim Finnish descent, if not a strong knowledge of their motherland’s history). 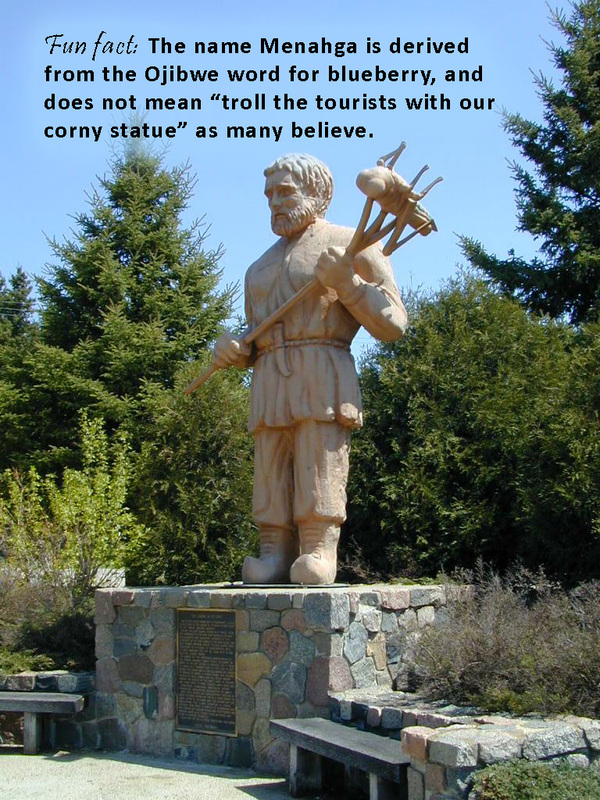 In addition to being home to the shrine of St. Urho, Menahga also designates itself the Gateway to the Pines. From time immemorial it was here that the central plains gave way to the vast pine forests that once covered the northern half of my home state. Today, much of the land between Menahga and Park Rapids is turned to farming and the “pines” consist of narrow bands of firs lining the highway. Actually, since the branches of the trees facing the high-wire lines have been trimmed off by the utilities company, even these are only half-pines. Such is progress. It is at Park Rapids that one begins to feel you are truly entering the woods. I turned off 71 to take the Lake George road. Back in the day, this was a rather narrow, winding trail through the forest, with trees crowding close up against the road, and it was awesome. These days it’s a newly repaved two-lane highway. Not so scenic, but still worth the drive. As mom pointed out about the time we hit Emmaville (a miniscule settlement most notable for the large sign that loudly proclaims, “Oops! You just missed Emmaville!” when you fail to discern the place itself), taking the Lake George Road meant we had to backtrack to get to our destination, Itasca State Park. No matter. It’s a beautiful drive. We entered the park at the east entrance. It’s a testament to the enduring belief in “Minnesota nice” that the entrance was unmanned; visitors are directed to tuck a $5 bill into an envelope and drop it in a slot. We did. A large storm had raged through the north country a week before our arrival, and the park showed the marks of its passage in the form of many downed trees. I couldn’t help wondering how capricious Mother Nature chooses her victims. We passed many stands of apparently dead trees that still stood firm, while enormous red and white pines that one might expect to withstand the Final Reckoning lay twisted and jack-knifed beside the road. We took the 10-mile Wildlife Loop and, as always, saw no wildlife. It did bring to mind an occasion when my niece Amy and I rented bicycles in the park, thinking to take a relaxing ride, and ended up half-dead after several miles of mostly hills. Immediately after turning off the Wildlife Loop, a white-tailed deer sauntered out in front of the car. 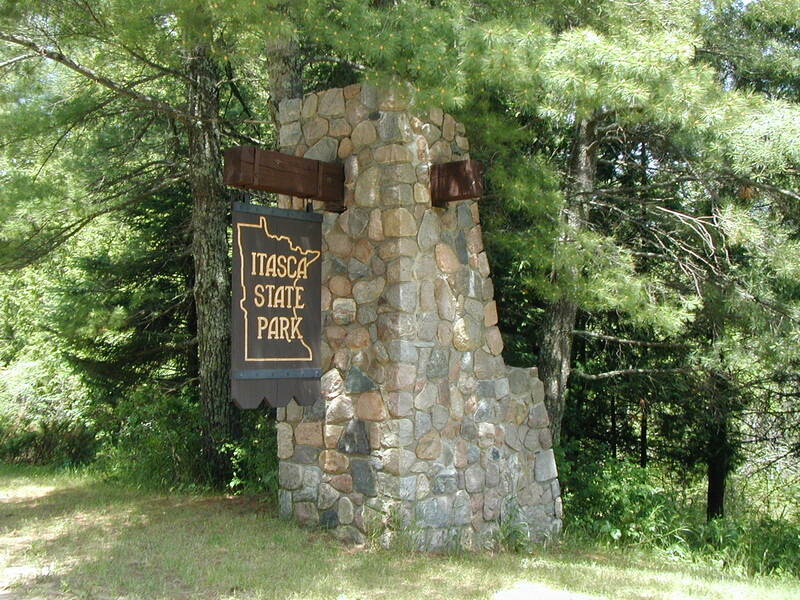 Itasca State Park figures large in my childhood memory, as it was a favorite place to camp for my family. We are camping people. 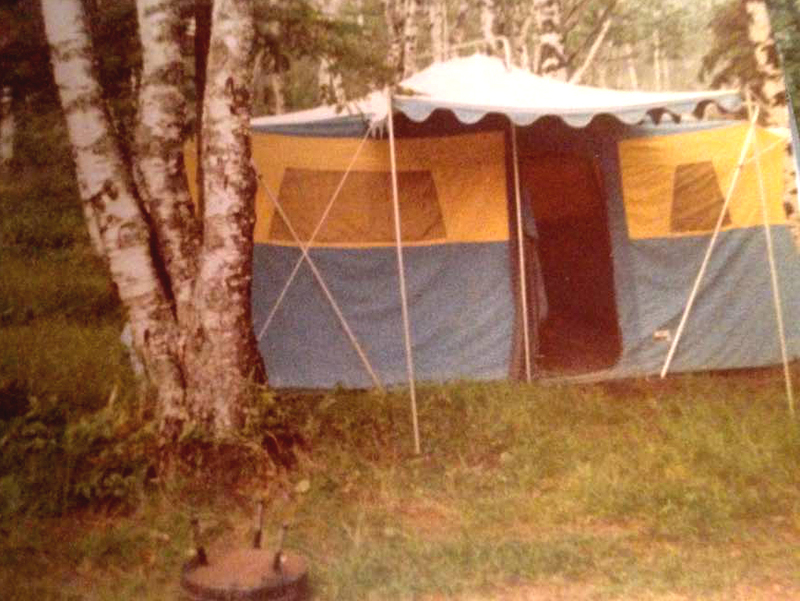 Long after glossy, silver Airstreams began taking over the parks, my people continued to erect our blue-and-yellow tent. My parents camped on their honeymoon, and had I ever found a mate, that would have been my choice, too. I was introduced early to this form of recreation; my parents brought a portable cradle with them to the campground when I was still an infant. I can’t imagine my frugal folks spending good money on anything else with such a limited use and lifespan, which is evidence of the central role camping played in our lives. We maintained a safe distance from the raging torrent. We made the obligatory stop at the Headwaters of the Mississippi (which apparently isn’t). Both mom and I decided that scrambling across the slippery rocks was a broken hip waiting to happen. This is what it is to be old. Native American cemetery in its natural state. A brief stop at the Indian Mounds illustrated how much times have changed. As a small child, I distinctly remember running up and over the neatly mowed mounds that resembled well-tended golfing greens. I hope at least my parents chided me for desecrating a grave, but I think in those days people didn’t connect such artifacts with the real people who made them. I visited the mounds again when I was in college and found them overgrown with weeds and enclosed in a high fence. This was more culturally sensitive, perhaps, but gave the uncomfortable impression that the deceased were imprisoned. Given the history of white-native relations in the state, this was a bit awkward. On this trip, I found the entire area of the mounds enclosed in an attractive wooden fence. 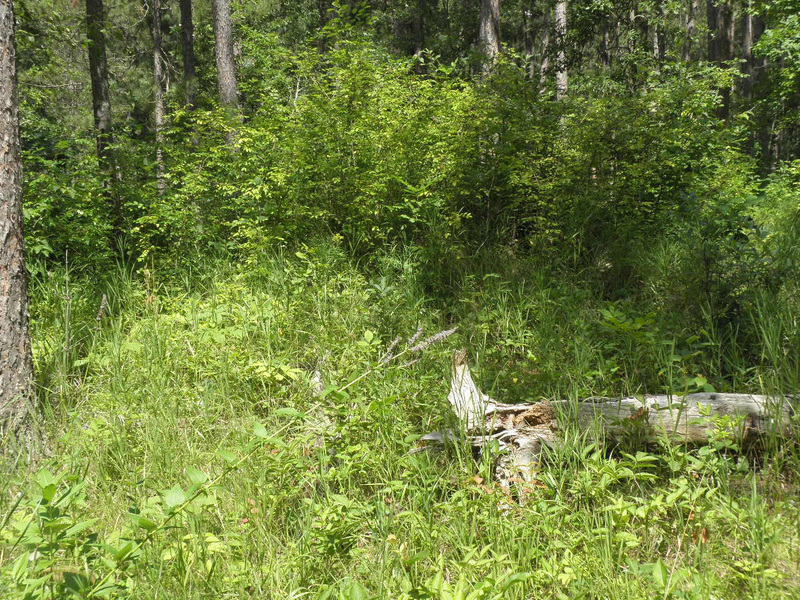 Inside, the native burial ground was so overgrown with trees, shrubs and other vegetation as to be unrecognizable. Presumably there are mounds within, but you’d never know it. On the way out of the park, we stopped at the Mary Gibbs Visitor Center. Mary was the first female park commissioner. She had but a brief tenure; after upholding her mandate to protect the park by defying a logging company’s attempt to flood the park, she was demoted at the insistence of the politically powerful lumber industry, and subsequently resigned in protest. Good on ya, Mary! Handmade by native artisans using traditional techniques honed over centuries. We perused the gift shop only long enough for me to note another change from my youth. The “trading post” used to feature the kind of tacky, culturally insensitive trinkets that would cause mass demonstrations today. This was back when the local indigenous peoples were still called Chippewa and Sioux (an Ojibwe word that apparently translates roughly as “those bastards on the other side of the woods”), instead of Ojibwe and Lakota. 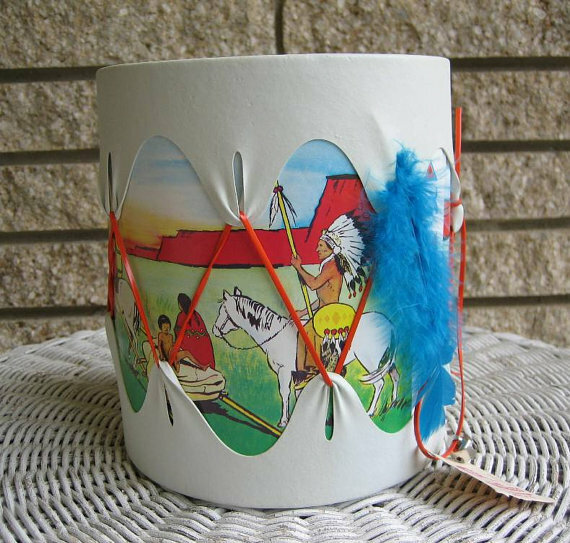 I recall toy peace pipes (a wooden dowel painted black with a feather hung from one end), and we always went home with at least one “Indian drum,” which consisted of a piece of rubber stretched over a brightly colored tin can; occasionally I left clutching an Indian maiden doll. 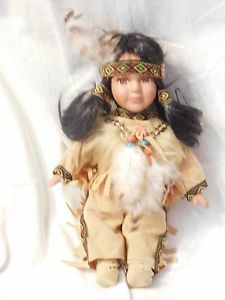 As I recall, they looked very much like myself, a little white girl, but had braids and wore a dress made of fringed suede. Educational! With the afternoon waning, it was time to leave the scene of my childhood recreation and proceed to a place that recalls slightly more recent memories. On to Bemidji! 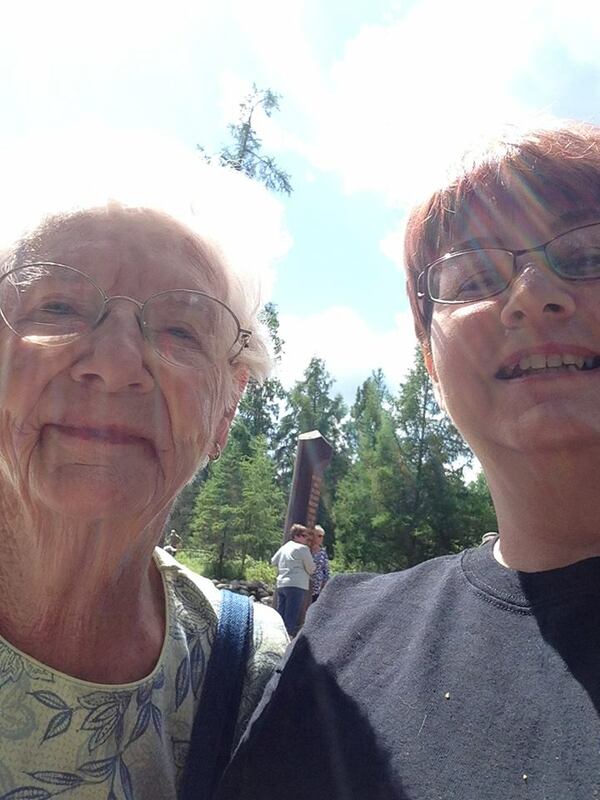 Awesome post…wish I could have joined you!